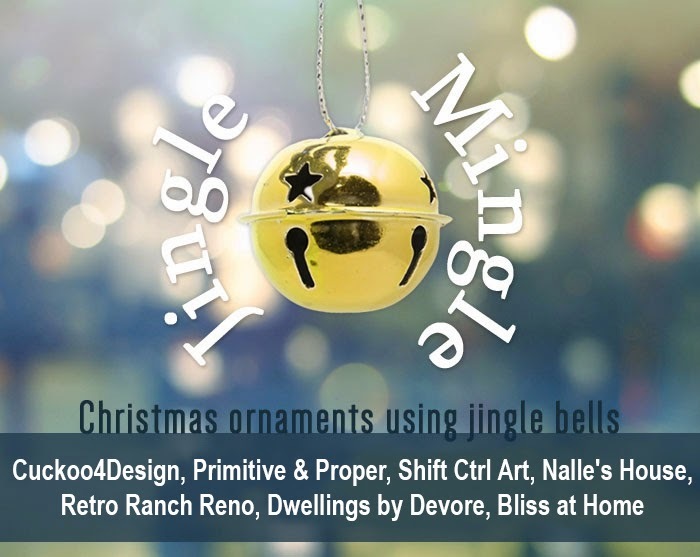 I'm happy to be participating in the Jingle Mingle today with a few other talented bloggers. If you saw my post yesterday you know that I've already done a little bit of crafting with jingle bells. This is another really easy one. 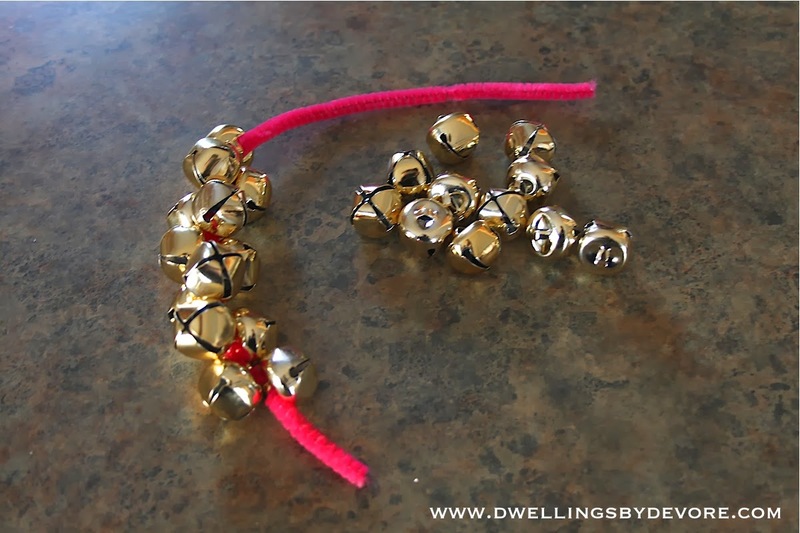 Start with some jingle bells, ribbon, and a pipe cleaner. I went with a bright pink pipe cleaner because that's we had and I thought it would be fun. 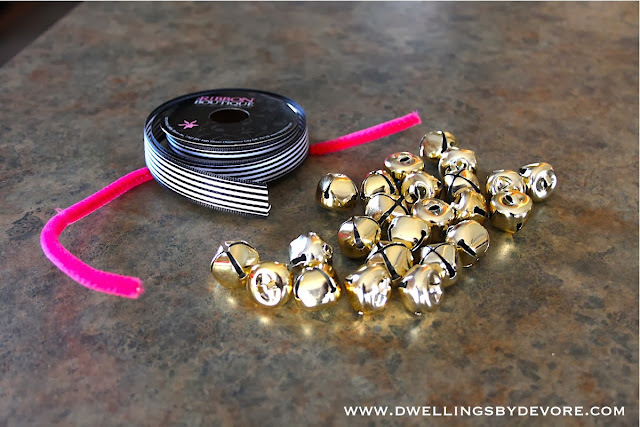 Then, I just started stringing the bells on the pipe cleaner and rotating them as I went so most of the gaps would be filled in. Once you get it as full as you like it, twist the pipe cleaner together at the end to form a circle and add your ribbon. It's the simplest little jingle bell wreath ornament. It's also doubling as a musical instrument for my toddler. 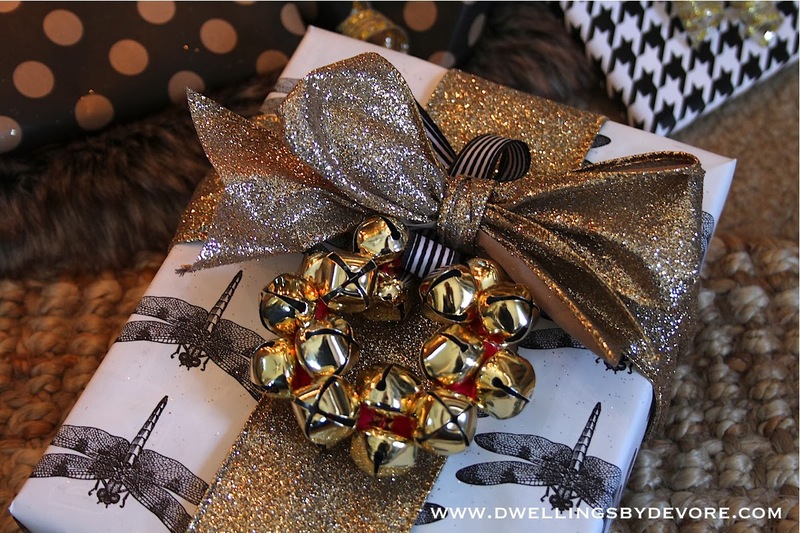 I like how the pink is peeking out and mixing with the gold and black and white. You can also use it as a fun addition to your gift wrap. Oh I'm so going to have my daughter make this with my leftover jingle bells. So cute and easy! Love it! These are so cute! Love them as a gift topper too. SO cute!!! i love it on the packages- perfect accent! This just so pretty. I love how the pink of the pipe cleaner peeks out between the bells. 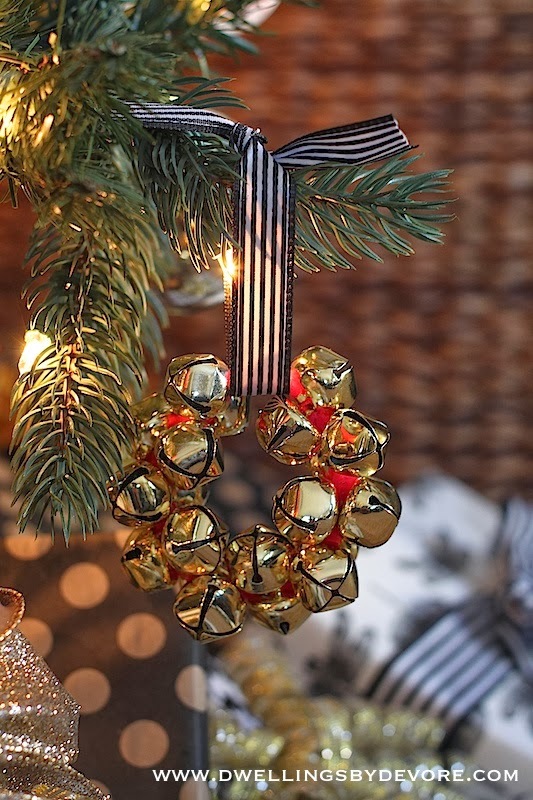 What a great ornament for both the tree and as a gift topper. So beautiful!!! I always love a craft project that results in something so cute and adorable. Thanks for sharing. That present looks amazingly special with that tied to it ~ great job!